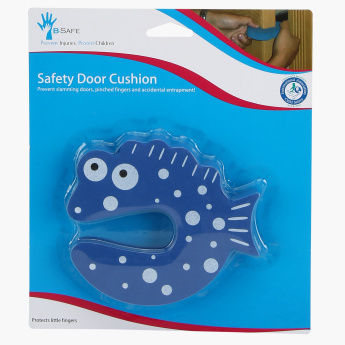 B-Safe Printed Safety Door Cushion | Blue | Protect your little one from danger in the household. Protect your kids from the danger of slamming doors and pinched fingers with this safety door cushion. This cushion also helps prevent children from accidentally locking themselves in a room. The cushion is easy to use and suitable for all types of doors.